Happy New Year Everyone! This is going to be a big year for me. I have some big blogging goals, I graduate college and start my career! It's going to be busy, scary, happy, and sad, but I'm coming to terms with all of it. This year, I've decided to do a few categories of resolutions. Food: Try 1 new (healthy) recipe per week. Last year I tried out lots of new sweet recipes, but I would like to go out of my way to find new healthy recipes that keep me satisfied and fuel my body. Fitness: Listen to my body. I'm happy with my weight and my body image. I work out, but sometimes I ignore what my body needs and I challenge it too much. There are definitely days when I feel like doing yoga and instead do a hard strength workout. It goes the other way too. There are days when I say I'll run a mile and I feel great, but don't keep going. I've got the motivation, but I want to be more in tune to what my body wants/needs. I'm sad to admit that in 2013 I let myself be overcome by "busy-ness", stress, and anxiety. This year I'm writing a journal where I thank God for at least one thing everyday. Blog: Post at least 2x per week and keep up maintenance. As you've probably noticed, I've made some changes to my blog. This past year I've kept up posting, but neglected the design of my site. It's a work in progress. I recently read this blogpost by Leo Babauta about how our life-defining moments have an incredible mix of joy and fear in them. I have some big life moments coming up so I need to stress less and learn to embrace the process. These are my main resolutions. I'm also planning to travel some this year, but I'll share that later. 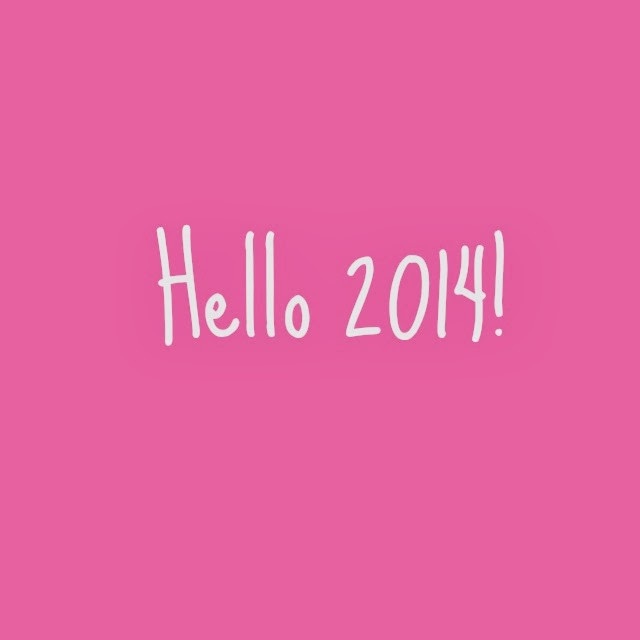 What are some of your resolutions for 2014?